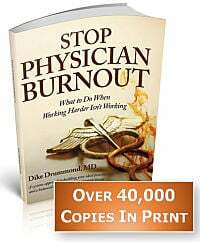 Physician Burnout has been an issue since I first started Medical School waaay back in 1980 and for decades before that as well. Here is just the latest survey on Physician Stress and Physician Burnout from Physician Wellness Services (PWS) and Cejka Search . 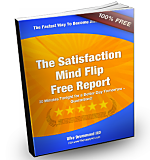 The survey was conducted in September of 2011 and reported on this webpage on November 29th. 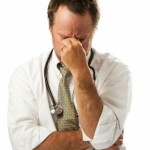 IMHO – Physician burnout is both a preventable and treatable condition that is a guaranteed consequence of our current medical school and residency training programs and the generally accepted definitions of success in Medicine. 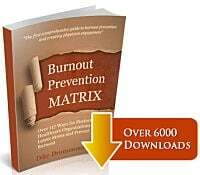 Having said that, there is no more attention paid to the prevention and treatment of physician stress and physician burnout now that back in 1980. Nearly 63 percent of respondents say their stress has increased moderately to dramatically in the past three years, yet only 15 percent say their organizations do anything to help them deal more effectively with their stress or burnout. the economy, healthcare reform, Medicare and Medicaid policies, and unemployed and uninsured patients. The top four work-related stress factors are: administrative demands of the job, long work hours, on-call schedules and concerns about medical malpractice lawsuits. The consequences of stress on respondents’ personal lives include fatigue, sleeplessness, irritability and moodiness, all of which result in physical and mental health issues, apathy and cynicism and increased risk of medical errors, which impacts patient safety and could lead to medical malpractice lawsuits. Nearly one-third of respondents indicated that better work hours/less on-call time and better work/life balance would help to reduce their stress. Survey respondents indicated they need greater flexibility and control over their working hours to mitigate stress. Nearly two-thirds of respondents said ancillary support would help. This feedback and the growing trend of part-time work schedules for physicians indicate a need for advanced providers such as nurse practitioners and physician assistants who can provide accessible and effective care as physicians scale back their hours in order to pursue better work/life balance. There are many ways that organizations can help physicians achieve better work/life balance, as well as develop better coping skills and resilience. A physician-specific employee assistance program, coaching and mentoring can help physicians address stress and burnout at the earliest stages, and promote work/life balance through tools, resources and education. Developing efficient physician wellness committees is another way organizations can meet the needs of their physician population, as well workshops and training on topics ranging from stress and anger management, to dealing with workplace conflict, to developing better coping skills and resilience to change.